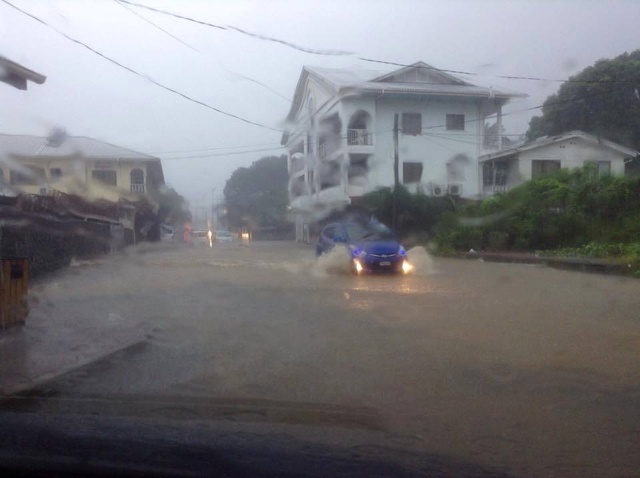 (Seychelles News Agency) - New patterns of rainfall distribution are emerging in Seychelles compared to two decades ago, the Meteorological Services says. With the island nation now in its rainy season -- October to February -- Chief Executive Vincent Amelie said that 20 years ago it was normal to experience two to three days of continuous rainfall. “Whereas now there are heavy but short rainfalls usually lasting 30 minutes,” said Amelie. The chief executive explained that the short and heavy rainfall is not helpful for water conservation. “The rainfall often does not have time to be absorbed into the soil and reach the rivers; instead they can create flash floods,” he said. A climate change scenario conducted by the local Meteorological Services in 2009 had predicted that in the next 20 years, rainfall will continue to be short and heavy. The research had also shown that the dry season will be longer and drier. He said that although this is good news, the slight increase in rain is still not considered significant. “This is why we are going to conduct a review of our 2009 climate change scenario to gain a better understanding of what is happening,” said the chief executive. Seychelles’ geographical location ensures that there will always be rainfall in the 115-island archipelago in the western Indian Ocean. Amelie said that the ways in which Seychelles can adapt to climate change are vast and need to be tapped into. “This includes exploiting the cash months of heavy rainfall, investing in new technology to maximise water collection, creating more desalination plants and much more,” he added. In line with that, the Public Utilities Corporation is starting construction work this month to raise Seychelles' main reservoir -- La Gogue Dam -- to increase its water storage capacity. Once completed in 2019, the reservoir’s capacity will increase by 600,000 cubic metres, making its total storage capacity 1.6 million cubic metres. So far there has not been a partial study of rainfall distribution in Seychelles to determine in which areas rainfall is heaviest or lightest. This is because automatic weather stations in areas other than at the airport are much more recent, and the study requires a minimum of at least 30 years before it can effectively analyse the climate.